Reverse engineering the USB protocol will allow us to write custom logging software in either Windows or Linux. While this device has DC out, there were a myriad of problems that became insurmountable. The USB readings give us a 1:1 log of what the device is reporting. This is part of the development effort for creating a Raspberry Pi based monitoring and logging platform. To decode the higher values, Eureqa is not capable of helping us (AFAIK [yet]) from this point because ultimately it’s bitwise operations that are required, but it’s starting to appear obvious what is happening now that we have a baseline. The byte we are given can obviously only take values 0-255. After around 55.5dB, we hit the byte limit, and thereafter, we begin to see low values. 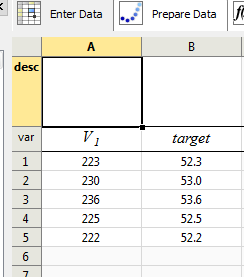 So, at this point, making an assumption that we add 256 to V1 before running it through our formula gives us the correct result. The reason we are adding 256 is because the low number after 55.5dB is the ‘wrap around’ number after 255. So adding say 10 to 256 gives us 266. 266 can’t be held in one byte, so we assume that the first byte holds the wrap around (10) while the second byte from our DataPackets must have an indicator of what multiple of 256 must be added to the first byte. 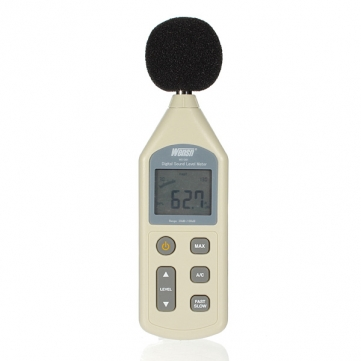 The common factors are that the bits on the far right for decibels 55.5 and below are not set. For those above 55.5dB they are set. Note the last value, 154 has the bit set one in. This is for a high decibel level of 88.5. What this is telling us is that for decibel levels over 55.5dB, we have binary ‘1’ set, and that for a higher level again, we have binary ‘2’ set. Running tests through our formula confirms that anything with the ‘1’ bit set in the second byte must have 256 added, and anything with the ‘2’ bit set in the second byte must have 512 added. Further experimentation has shown that anything above 103.4dB sets both bit 1 and 2. So these bits to the right are actually a multiplier of 256 * 0, 1, 2 or 3. However, it became apparent that our devices are very different. The WS1361 has no endpoints (aside from Control) where the one Gianluca is using does. This changes the code fairly dramatically. Also, the methodology of sniffing the USB data is different. Because the WS1361 is using the Control endpoint, for some reason USBSnoop does not work at all. 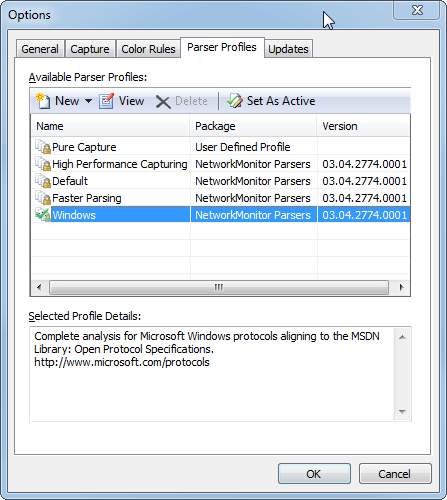 Microsoft Network Monitor works at low level, so that was able to pick up on the Control commands. The WS1361, to some advantage I think, does not require a read command to be written to retrieve the decibel level. It is constantly reported which simplifies our task to a simple read. In locating Windows Network Monitor, I found it from a post by Scott Marchant in a stackoverflow question. Funnily enough, that question was most useful to me, however was closed as an ‘off topic’ question due to policy. Off topic and against policy maybe, but incredibly useful. Incidentally, Scott’s filter did not work for me, it returned only one row of information for the WESN, obviously skipping all the important info we needed. The filter I referenced above from Pete’s Blog seemed to consistently find all the needed data.